I love these ornaments so much! There's something about these glass ornaments that make them look so vintage-y, like they've been in the family forever & handed down over the years. To me, it's what Christmas ornaments should be. oh m g ok i literally need them all! especially the champagne one! I love the Adventure Bag one! I should get it for this year to pay homage to traveling for our honeymoon! I love all of those little ornaments! just found your blog and I love it! newest follower! 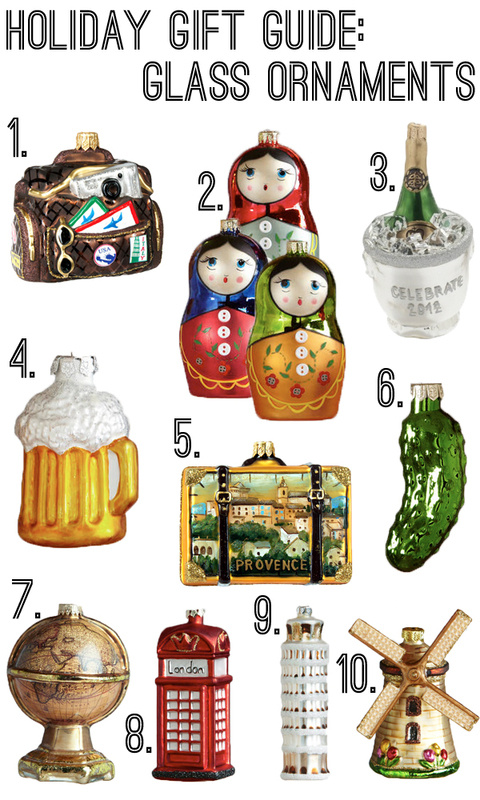 These ornaments make me want to have a table top tree dedicated to travel ornaments and souvenirs! Thanks kinda sounds perfect for you! !